Who says you have to graduate with honors to deserve a gift? Not with this grade 6 student who got the best gift ever for his graduation day from his loving brother. 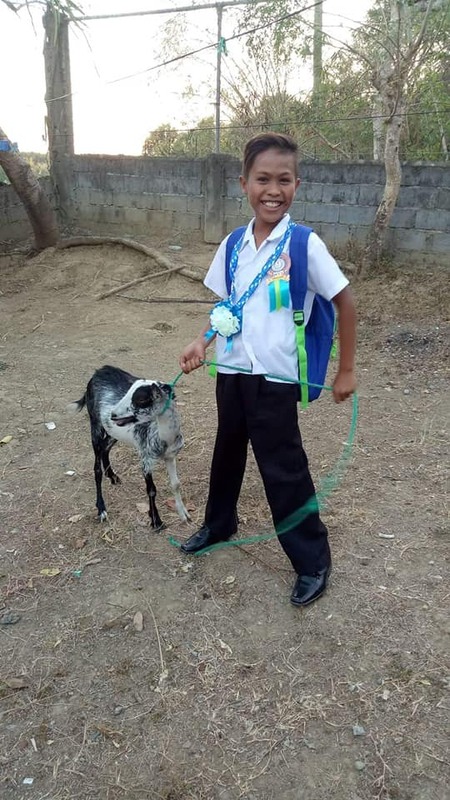 This eleven year old boy, Alwytz Robiniol Gaoiran, of Bacarra, Ilocos Norte had always loved taking care of animals. He wasn’t interested in gadgets and his happiness is being surrounded with animals. He loves taking care of the animals of the family and considers them his pets. It wasn’t a surprise that last Christmas, he actually requested a pet goat from his parents as a gift. Unfortunately for him though, they can’t afford to buy even the cheapest goat. His father’s a farmer and his mother’s a domestic helper and they’re just trying to make both ends meet for him and his seven siblings. For poor families in the Philippines, even putting food on the table is already a big effort so the parents can really hardly give gifts to their kids no matter how much they want to. 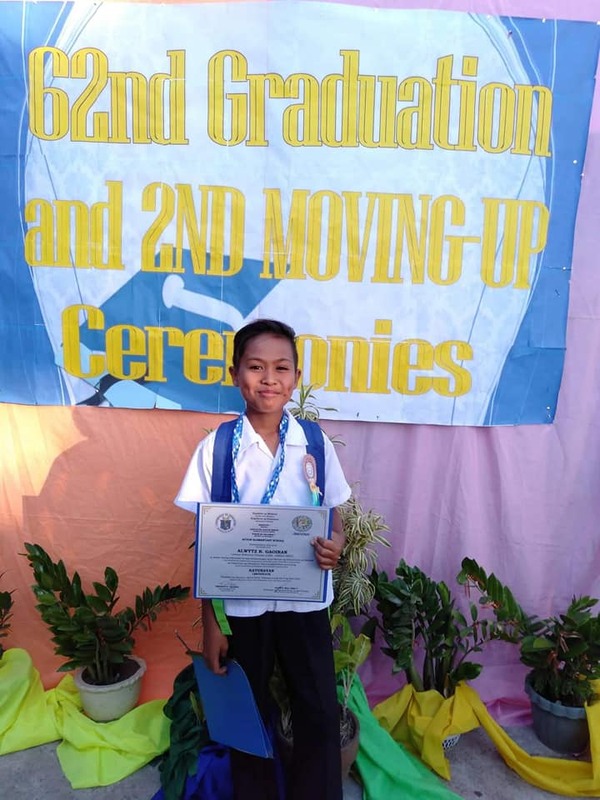 Come his graduation day at the Buyon Elementary School in the town of Bacarra, he was more than happy to receive his gift. His older brother, Alvin gave him what he had always wished for; his very own goat. Alvin said that his younger brother dreams of becoming a Mechanical Engineer in the future. This thoughtful brother said in his Facebook post that Alwytz is his favorite brother and that it’s just the start of the best to come. He further stressed out that he wanted to give Alwytz a cow but it’s unaffordable at the moment but they may have a farm in the future if fate will permit it. He’s the only graduate in their family and it’s his dream to see that all his younger siblings will have a college degree for them to be able to have a better chance in life. We provide you with the latest breaking viral and news.